Isao Takahata, the animated film director who co-founded Studio Ghibli, has died aged 82. He died of lung cancer on Thursday at a Tokyo hospital, Studio Ghibli announced earlier today. Takahata was perhaps best known for his film Grave of the Fireflies, but also received an Oscar nomination in 2015 for his film The Tale of the Princess Kaguya. He co-founded Japan's Studio Ghibli in 1985 with director Hayao Miyazaki, with the studio going on to produce and release films such as Castle in the Sky, Spirited Away and Howl's Moving Castle. 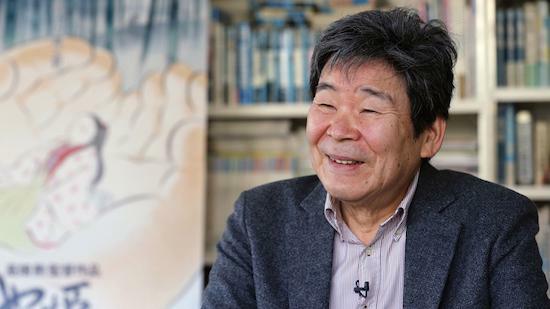 Mr Takahata started his animation career in 1959 at Japan's Toei studio, which is where he met Miyazaki. Revisit our 2014 piece featuring Quietus writers reflecting on their favourite Ghibli works here.